With a heavy work load, a family trip to Hawaii and the updating of my site and blog...I almost ran out of time to plan my son's 4th birthday party. But despite my tight schedule this summer I just can't bare the idea of NOT throwing something small together that is memorable and fun! Here are a few things I planned a week before the shin-dig, barely any stress and definitely a fun day to remember! Happy Fiesta Planning!! Wanting a taco themed party I made this piñata out of cardboard that I covered in streamer or crepe paper. I don't know what made me decide to make one but despite the fact I could have bought one it was a fun activity I got to do with the kids! 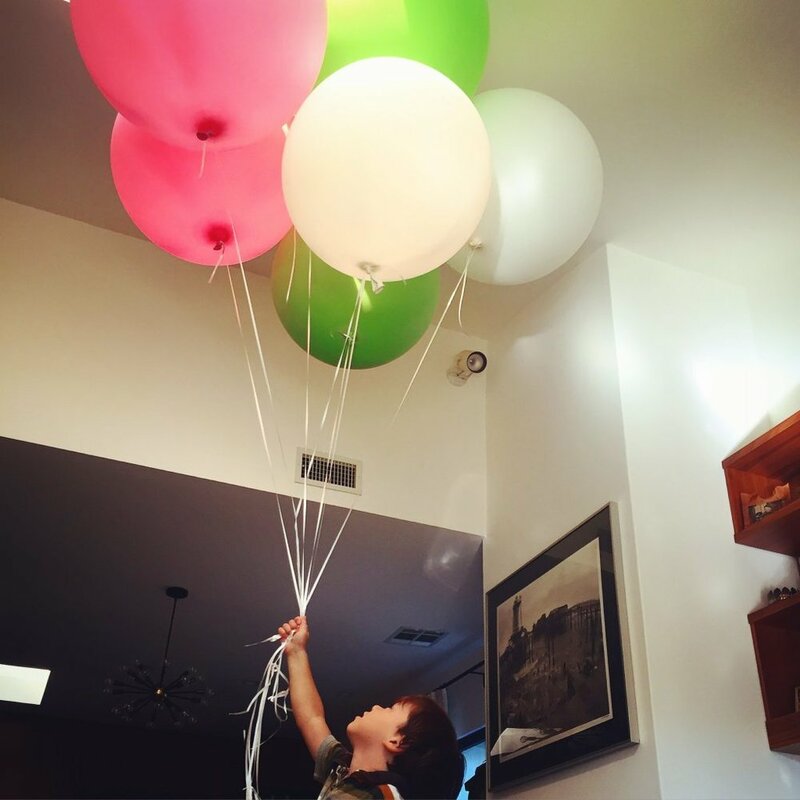 My son LOVES balloons. I love this extra large round ones the most. You can find them online here. I saved this bunting from Van's first birthday and I use it every year! Bucket of paletas I ordered for the party! These were a hit!